Students from Calgary's Westgate explore the school's outdoor classroom and community garden. When Grade 3 students from Calgary's Westgate School were tasked with writing about nature, the idea of sitting indoors and looking at photos of trees and plants did not spark creativity. The solution? Exploring the school's outdoor 'Gator Garden'—a recently revitalized green space that provides students with opportunities to learn in an outside classroom while observing a living environment. "We like to take our students out of the classroom for lessons as much as possible," says French Immersion teacher Laurelle Edmiston. "The space has become a place for students to learn and discover an environment that's beyond the walls of an indoor classroom." Last fall, grounds in front of the school—once barren and unused—received a much-needed makeover. The installation of planter boxes and pollinator beds delivered means to plant food and sustainable ecosystems. Native shrubs and trees replaced dead vegetation, providing a natural space for teaching and community gatherings. For Grade 4 students planting garlic for a science project, it meant having a dedicated area for caring and observing the fruits of their labour. 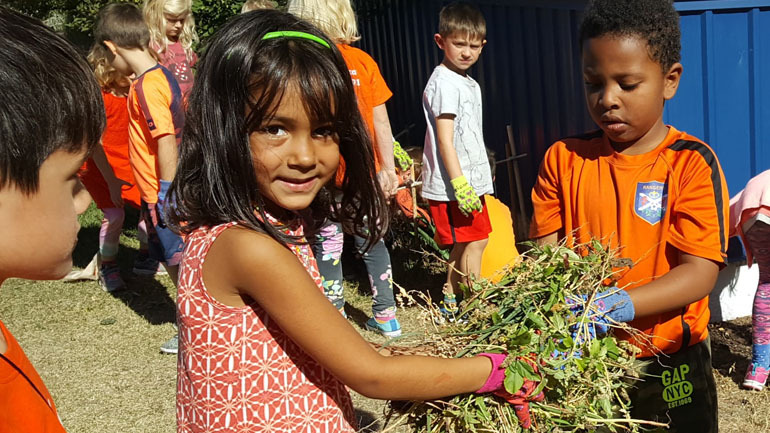 "With proper care and the right environment, the kids are learning what they need to do to make things grow," says Edmiston. The Westgate School's Naturalization Project is just one of many initiatives supported by TD Friends of the Environment Foundation (TD FEF)—a national charity that primarily funds environmental programs across Canada focused on revitalizing, animating and stewarding public green spaces. Heather White, a Grade 1 French Immersion teacher at Westgate, says the impact of the space has extended beyond students and staff. "When parents come up and pick up their kids, you see them chatting outside next to the gardens while students chase each other around the trees," says White. "It's created this whole new environment where we see this gathering of both our school and community members." Learn more about TD's commitment to enhancing community green spaces.